By working collaboratively with key stakeholders, representing all sectors of the community, APW is able to facilitate the development and implantation of prevention programs and strategies. The Community Coalition is comprised of the Advisory Committee, Prevention Committee, and Community Champions Committee. The Advisory Committee reflects the eleven communities and constituencies that we serve. In order to maintain a balanced representation of each of the towns in the service area, membership strives to include at least one person who lives or works in each town. Membership includes but is not limited to chief elected officials / designee, chief law enforcement officials/ designee, superintendents of schools/ designee and general assembly members or their representatives, substance abuse providers from the service area, as well as representatives from the business community, religious organizations, youth service bureaus, the media, youth and adult consumers, local prevention council members, health care professionals, other professional groups and state agencies. The purpose of the Advisory Committee is to establish and implement a substance abuse action plan, assist in the development and coordination of needed services along a continuum of care to include community awareness, education, prevention, intervention, treatment and aftercare.. 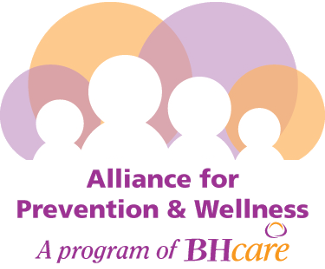 The Prevention Committee works on local and regional efforts that develop and promote anti-substance abuse initiatives and policies to make the community a healthier and safer place to work and live. Provide topic areas for learning workshops, conferences and assist in promoting council activities, events, etc. The Community Champions Committee works to seek and review nominations of individuals or groups who work on prevention initiatives in their communities. They also assist in planning the bi-annual event. Contact APW to get involved in our Community Coalition and help win the battle against substance abuse in our communities!